ST. LOUIS, Mo. – The Association of Corporate Counsel – St. Louis Chapter (ACC-STL), a professional development organization serving in-house counsel, elected its 2019 officers and board of directors members. Announced on Wednesday, Chrissy Teske, senior attorney with Commerce Bancshares, was elected as president. President-Elect: Brian Parsons, senior counsel, Macy’s Inc. Immediate Past-President and Co-Sponsorship Chair: Toni Douaihy, vice president, assistant general counsel, Macy’s Inc. Annual Golf/Spa Event Co-Chair: Peter Barkofske, associate general counsel, Graybar Electric Company, Inc.
Law School Relations Chair and Director-at-Large: Kate Krebel, corporate counsel, DRS Technologies, Inc. Membership Co-Chair and Director-at-Large: Beverly Garner, associate general counsel, Bunge N.A. 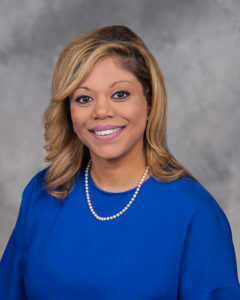 PAN – Labor & Employment Chair: Latieke Lyles, counsel, Macy’s Inc.
Professional Development and Director-at-Large: Sharhonda Shahid, vice president, Fleishman-Hillard, Inc.